A tree is considered hazardous when it has a structural defect that predisposes it to failure and the tree is located near a target. A target is an area where personal injury or property damage could occur if the tree or a portion of the tree fails. Targets include sidewalks, walkways, roads, vehicles, structures, campsites, playgrounds or any other area where people are likely to gather. Structurally sound and healthy trees may also be hazardous if they interfere with utilities, roadways, walkways, raise sidewalks or obstruct motorist vision. Common hazards include dead trees, dead branches, stubs from topping cuts, broken branches (hangers), multiple leaders, tight angled crotches and an unbalanced crown. This tree needed to be removed. When a tree is in poor health and dying, we call it in “decline”. A dead, dying or diseased tree can be an extreme hazard, no matter where it is located. Some trees will never recuperate from the combined stresses placed on them, but will take months, even years to become fully dead. There comes a time when, no matter what you do, the tree will die, so being aware of the tell-tale signs of insect damage, diseases and decline will save you the risk of having a hazard tree in a public place. 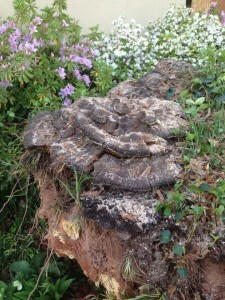 Catching the signs early may prevent the loss of a valuable specimen. 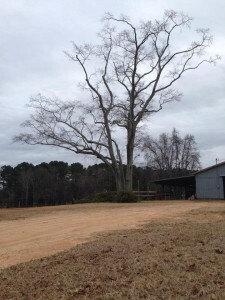 Healthy trees are flexible and limber in storms, however, sick trees are much more brittle and limbs will snap and break with the wind instead of swaying with it. These limbs will snap, as might the entire tree, causing property damage, personal injury and possibly a cut in service. While a home or a nearby power line cannot be moved, it is possible to move picnic tables, cars, landscape features, or other possible targets to prevent them from being hit by a falling tree. Remove the defective branches of the tree. Because inappropriate pruning may weaken a tree, pruning work is best done by an ISA Certified Arborist. Cable and brace the tree. Provide physical support for weak branches and stems to increase their strength and stability. Mature trees need routine care in the form of water, fertilizer (in some cases), mulch, and pruning as dictated by the season and their structure. Some hazardous trees are best removed. If possible, plant a new tree in an appropriate place as a replacement. 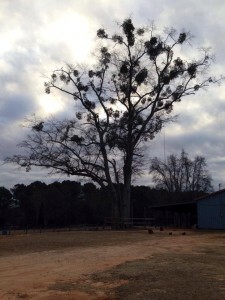 Trees that are heavily infested with mistletoe may become less vigorous, stunted, and can possibly be killed if subjected to additional stress from drought, extreme temperatures, root damage, insect infestation, or disease. Pruning trees to remove mistletoe is best done in winter by a certified arborist. We removed all mistletoe and installed 3 cables. We love this kind of work and will take this over removal any day. Ganoderma are wood-decaying fungi. They can grow on both coniferous and hardwood species. They are white-rot fungi with enzymes that allow them to break down wood components. In this case, the roots were gone. Lucky it fell away from the home. 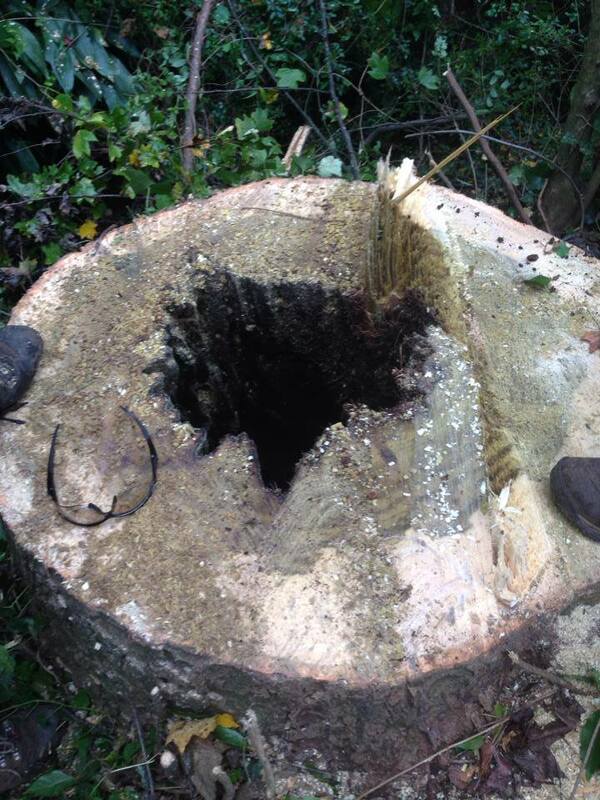 If this tree were evaluated, failure could have been prevented. Has the tree been topped out or otherwise heavily pruned? Joseph Cox, owner and certified tree climber and arborist for Athens Arborist, performing this test on a Water Oak that passed with flying colors! It is often not easy to detect the inner condition of trees and wooden structures. The RESISTOGRAPH® is an instrument that detects decay and cavities in trees using electronically controlled drill resistance measurement. This test is usually performed on different sides and below as well as above the cavity. The Resistograph test is the most current and reliable method available for determining if your tree is stable. Through resistograph technology, an arborist is able to detect wood decay, stages of rot, hollow areas, cracks and ring structure. 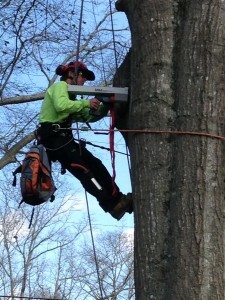 The resistograph is an ideal device for estimating tree stability and longevity. Time for some preservation work!